So… the snow grounded me and I didn’t make it to Office* Show this year – I’m gutted to be missing out on catching up with everyone, getting all the gossip and connecting with all the VA industry’s latest news at the VA Conference. Michelle Smith and I battled the snow and ungritted roads in a blizzard, we made it as far as Departures at Glasgow Airport and then got told all flights had been cancelled. So disappointed! Many thanks to Angela Dawson and Amanda Johnstone for stepping in and covering my sessions – these are two very capable ladies who always lend a hand! I know a lot of people had to cancel plans due to disruption on the roads and railways – and the airports which totally scuppered my own plans. But I thought I’d share what I was going to say anyway – and the handout is available for download too. Back when I started as a virtual assistant in 2004, there weren’t that many resources for VAs. Those that existed were from America and totally unsuitable to VAs working in the UK. Not only were their legal templates totally unenforceable in a UK Court of Law, silly stuff like their marketing being really sales-y or their telephone systems being totally different just meant that a lot of the advice contained within the resources just weren’t suitable for UK VAs. I was lucky enough to get a good amount of PR when I started – this was still a fairly unusual concept. I had coverage in the Daily Record, Evening Times, Herald, industry mags like Business Insider, PALife, OS Mag, Enterprising Glasgow and I won an RBS Start Up Award too. The response from the public was fantastic, but the majority of people getting in touch weren’t potential clients, but aspiring VAs who wanted to know how I got started. As a new business, I wanted to be helpful but I couldn’t afford to spend 40 minutes explaining it all with each person wanting to become a VA. I ended up sticking what I was using onto a freebie website and directing everyone there to take a look… It became clear there were other VAs struggling to explain the concept locally and we all met up to help one another in Edinburgh at the Hard Rock Cafe one blustery November – Scottish Virtual Assistants was born! Those 7 VAs (and the infamous Alan the Geek – yes he really was there from the start!) quickly grew to include so many southern VAs that we changed the name in 2005 to “Society of Virtual Assistants” and these days we have over 2,200 members – the largest organisation for UK based VAs. What does Society of Virtual Assistants do? SVA is run very much by virtual assistants – I earn my income being a virtual assistant, a fact which I’m incredibly proud of. It therefore let’s me be in a fairly unique position when it comes to being realistic about the industry and spotting trends quickly because I’m “at the coalface” so to speak with my clients. Secondly, because I don’t need to earn money from it, there’s no payment walls or membership fees – I’ve always felt that the best thing for the industry is for people to be able to Google “how to become a virtual assistant” and actually be told what is best practice without having to spend a fortune on a specialist course. Why? Because for every VA who does a poor job, I get tarred with the same brush whenever I speak to potential clients about being a VA. I want all VAs to be doing a great job – it’s an advert for my industry! 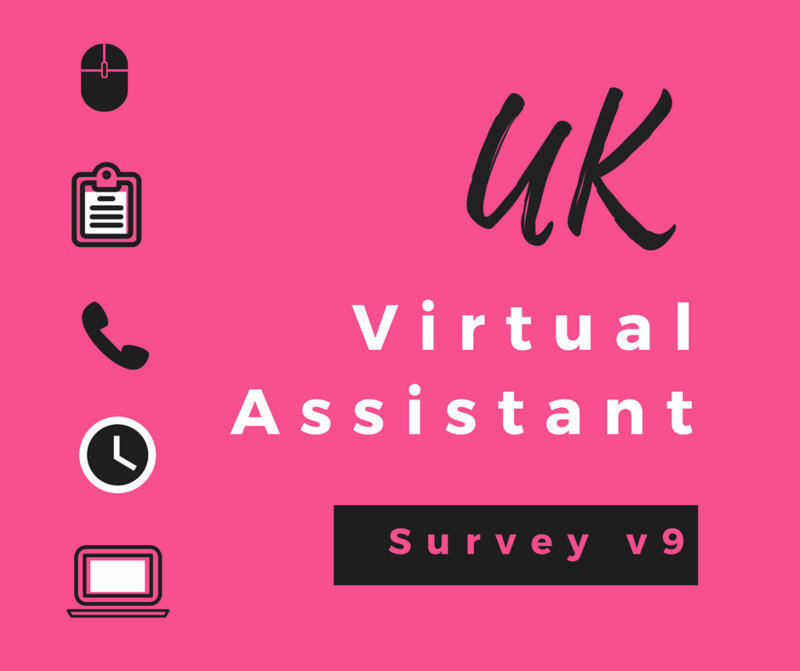 We run the UK VA Survey each year and it acts as a snapshot of the industry – what people are charging, the kind of clients VAs are working with, how they market their business. Our advice, where ever possible, is based on REAL data from the widest selection of UK VAs possible, including those who are not self selecting groups who can afford to pay for training. This is what is actually happening in VA businesses up and down the country. These networks are invaluable to your business – celebrating a new client with your peers is amazing, they get why it’s exciting! Likewise knowing exactly what you are going through and offering helpful advice is such an important thing to get you through the rough times. Being a VA can be a lonely business. 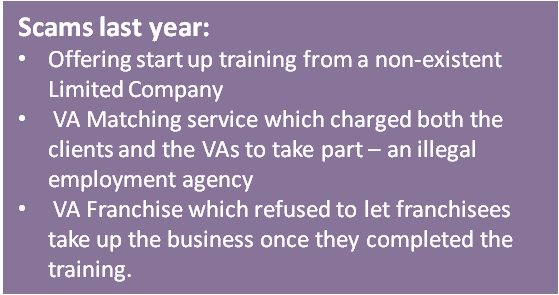 However in 2017 we received a record number of complaints about other VA organisations. At times, it made me ashamed to be a virtual assistant. The majority of VAs are helpful people – 75% of the industry believe in “collaboration not competition” – they help one another out, that was the spirit which I was welcomed into the industry with, and it’s something which is special and unique about the industry, and I want to defend. And the majority of the time, I don’t think people are trying to be malicious – they just “don’t know what they don’t know”. One case last year we had a coach offering free Mumpreneur start up training. Her business said it was a Limited Company and yet wasn’t registered with Companies House – now as much as she was offering free advice, if she told them the wrong information about what they can call their business, that has a financial impact on their start up…Fines! READ Office* - Virtual Assistant Myths! It’s not my job or even my desire to be a policeman to the industry, I can’t control how other people conduct their businesses. What I can do is make sure virtual assistants know what questions to ask when they hire a VA trainer or buy a business – and we put that info out there for free! 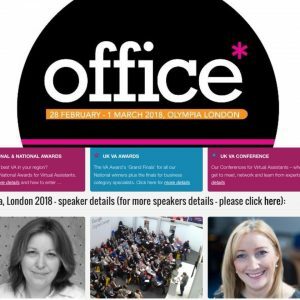 And the download for Office itself – a quick overview of the things contained in this article! As ever, do get in touch if you have been affected by any of these issues or if you would like further advice on what to ask – we don’t publish all the questions so the trainers don’t have all the answers!